Tulsa Pride is the longest running Gay, Lesbian, Bisexual, and Transgender Pride festival in Oklahoma. This 2019, Tulsa Pride Celebrates its 37 years with a whole weekend of pride, with the Tulsa Pride Parade, Tulsa Pride Celebration, and Picnic in the Park. Tulsa Pride is a registered trademark of Oklahomans for Equality. Tulsa Pride Enews! This has all the activities leading up to, during and following Tulsa Pride this year. Events are going on all month long. Be sure to grab a pen and start marking your calendars. The Tulsa Pride Parade and Street Festival will be held on May 31st - June 1st, 2019. Picnic in the Park will be held on June 2nd, 2019. Additional smaller events are held in the weeks preceding Tulsa Pride to support the festival. 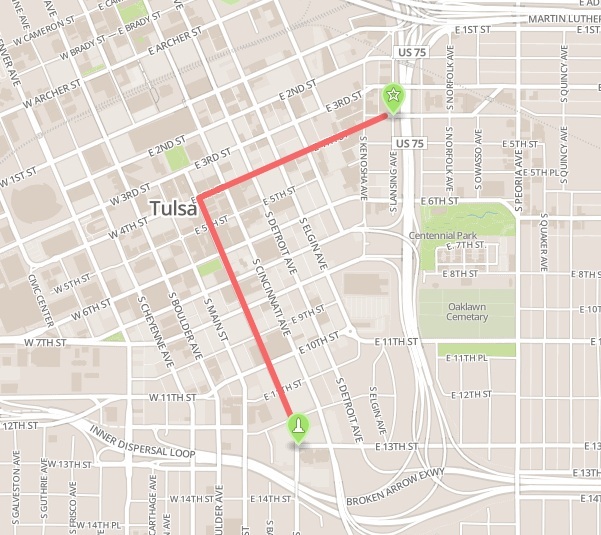 The Tulsa Pride Parade is the annual Gay Pride Parade in Tulsa. 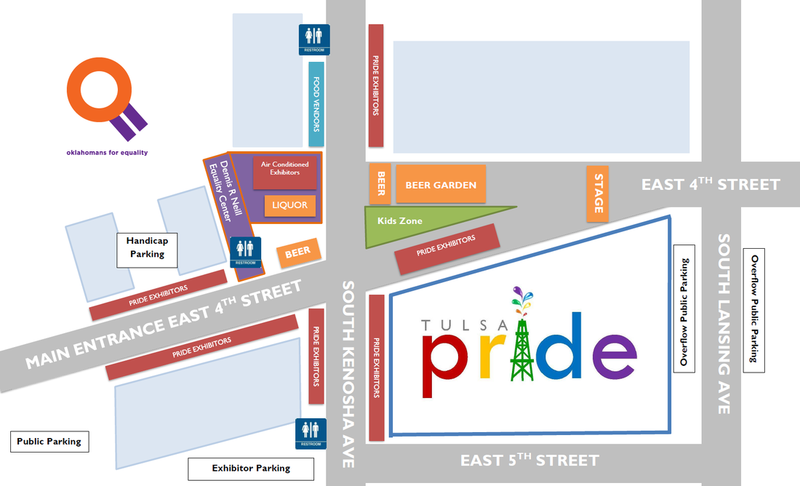 The Parade route begins at 13th and Boston, goes North on Boston Avenue to 4th Street, and then East on 4th Street to the Tulsa Pride Celebration at the Dennis R. Neill Equality Center in the East Village. The Tulsa Pride Parade’s arrival at the Dennis R. Neill Equality Center kicks off our Street Festival’s rocking evening of entertainment on the Main Stage. The Tulsa Pride Street Festival is Tulsa’s Annual Pride Festival. The Street Festival begins in the afternoon and runs until late in the evening. The Street Festival will have several food vendors to provide dining at the event. The Street Festival will have exhibitors from all different types of organizations who support the LGBT community in Tulsa. The Street Festival Main Stage will have a non-stop string of entertainment. Various Acts including Folk, Rock, DJs, and Drag will keep the party going. The Street Festival will have a beer garden tent with misters to keep you cool. WHAT is Picnic in the Park? Pride in the Park is our Family Picnic at Guthrie Green in Tulsa. There will be food and ice cream trucks (no exhibitors) at Pride in the Park. Pride in the Park welcomes canopies, ice chests, food, leashed dogs, games, and family fun. HOW can I get involved in Tulsa Pride? 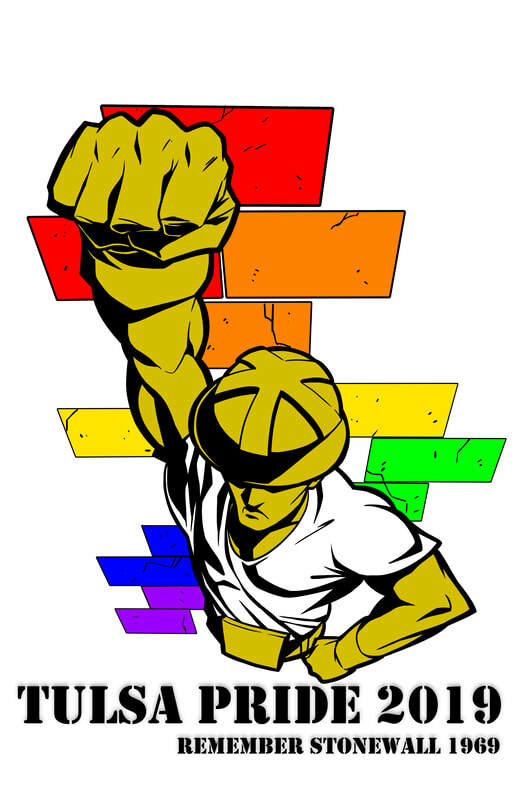 You can attend a Tulsa Pride Planning Committee Meeting, held on the fourth Thursday of each month at 7:30 pm at the Dennis R. Neill Equality Center, 621 E 4th St, Tulsa, OK.
You can be an Exhibitor or Food Vendor at Tulsa Pride. You can be part of a Parade entry in the Tulsa Pride Parade. You can volunteer on the day of Pride or at any of the events leading up to Pride. You can come and watch the Parade and party at the Street Festival. You can bring your ice chest, your snacks, and your dog to Pride in the Park. HOW can I support Tulsa Pride? Help Spread the word about Tulsa Pride by sharing our Facebook Page with all of your friends and family. Tulsa Pride is a non-profit organization, and gladly accepts donations. Personal and Business donations are welcomed. Tulsa Pride offers benefits to those persons and businesses who donate. See our Partnership page for details. HOW can I contact Tulsa Pride?